Living abroad, I am extremely conscious about how fortunate I have been to have studied at a prestigious university like LUMS, which guarantees its students the freedom of expression and independence of thought. In fact, when my foreign friends ask me if moving to Germany was a cultural or academic shock, my answer has always been no. Because growing as an individual at an institution like LUMS taught me to foster the tenet of higher education, namely academic freedom; which is also something that is found in educational institutions abroad. However, it is unfortunate that this cherished academic freedom is now under attack from the state. 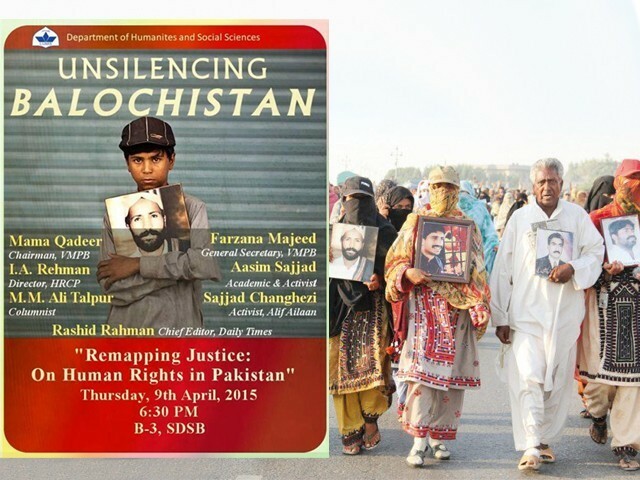 Yesterday, a talk at LUMS titled ‘Un-Silencing Balochistan’, which brought together academics and activists was cancelled. It is argued that people like Mama Qadeer are allegedly involved in ‘anti-Pakistan’ activities, thus national security acquired precedence over freedom of expression. This is not the first time that the government or the military authorities have arrogated the right to censorship in the name of preventing anti-state material. Historically, we have witnessed the ban of books which went against the ‘official’ state ideology of Pakistan. On the matter of religion, religious questions such as “what is Islamic and what is not” were curtailed in the form of ideological vigilantes on campuses and through media, particularly during the infamous General Ziaul Haq’s regime. Such suppression has adversely affected our entire education system, especially the culture for academic research, which lacks substantial originality and excellence. We must understand that the government’s interference in higher education institutions abrogates the students’ right to seek an alternative truth and perspective which is imperative for society to survive. The purpose of educational institutions is to render an environment where students raise the awkward questions and go beyond the evident reality. The reason why LUMS is Pakistan’s leading university is because, unlike other universities, it provides the kind of environment required for critical thinking and analysis. 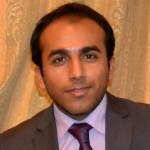 After all, it is the same university that hosted the Director General ISPR, so why should it not have a right to host mainstream Baloch activists, especially since Balochistan has been witnessing numerous human rights violations, enforced disappearances and persecution of religious minorities over the past few decades. Neither the state nor the media pay any attention to these matters. In fact, those who raise their voices over issues going on in Sindh and Balochistan are either blocked or pay a heavy price with their lives. Instead of providing the space to people like Mama Qadeer – who walked with women and children for five months to get from Quetta to Islamabad – and address their grievances, we have labelled such people as a national security threat. After all, his only crime is that he is looking for his son, Jalil. Every other month, there are reports from human rights organisations on persistent human rights violations and disappearances that have taken a heavy toll on the Baloch community. Imagine, what would have been the response of our state and military establishment if the same incidents were to happen in Islamabad, Lahore or Karachi. Instead of silencing their voices, let us instead recognise the likes of Mama Qadeer and Farzana Baloch, let us assure them that their husbands and sons lives are as important as other ours. In its essential nature,thought is not static;it is dynamic and unfolds its internal infinitude in time like the seed which ,from the very beginning,carries within itself the organic unity of the tree as a present fact. I don’t think you are doing any service to PTI and Asad Umar by bracketing them with Hafiz Saeed. They’ll probably be the first to excuse themselves from such a grouping. That said, hate speech is not necessarily suitable for being aired in academic settings. In fact, universities police the boundaries of valid speech much more strictly then do society and the law. The way you frame and argue issues needs to be logically much more rigorous. PTI’s container-isms and Hafiz Saeed’s vitriol are hardly enlightening to anybody.